Without a properly working air conditioner, a southern summer can be uncomfortable as well as a health hazard. For the best Houma AC repair, call Lane’s A/C and Heating Services. Our locally owned and operated HVAC business has been proudly serving our community and look forward to taking care of you. We want you to feel like a member of our own family and we do so by providing professional HVAC services at an affordable price. Whether you need air conditioner maintenance, repair, or installation, we can do it all. We also offer furnace carbon monoxide analysis, as well as coil cleaning services. 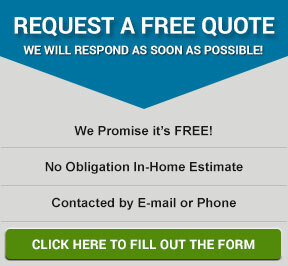 Discover why your neighbors call us when they need service! Call the experts at Lane’s A/C and Heating Services for a free estimate for your Houma AC installation services. We will answer any questions you have about finding the right air conditioner for your home and will help you stay under budget. Before installing your air conditioner, we consider your home’s size and cooling needs. We will also help you understand how a high efficiency unit can help you save money on your energy bills, while you enjoy satisfying indoor air temperatures. Give Lane’s A/C and Heating Services a call and our highly skilled technicians will be there for you when you need the best air conditioner service Houma has to offer. We are standing by waiting to take care of you. From AC repair to AC installation, we can do it all! Your air conditioner needs attention, whether it is regular maintenance or an upgrade. Ever wonder why your AC doesn’t turn on when it should or why your home is so dusty and humid? We have the answers for you. Lane’s A/C & Heating Services can inspect your current system and give you the best options for your home. You can rely on us for the best air conditioning service Houma residents have rated so highly over the years. Did we mention we guarantee same-day service? Don’t put it off any longer. Give Lane’s A/C & Heating a call now!